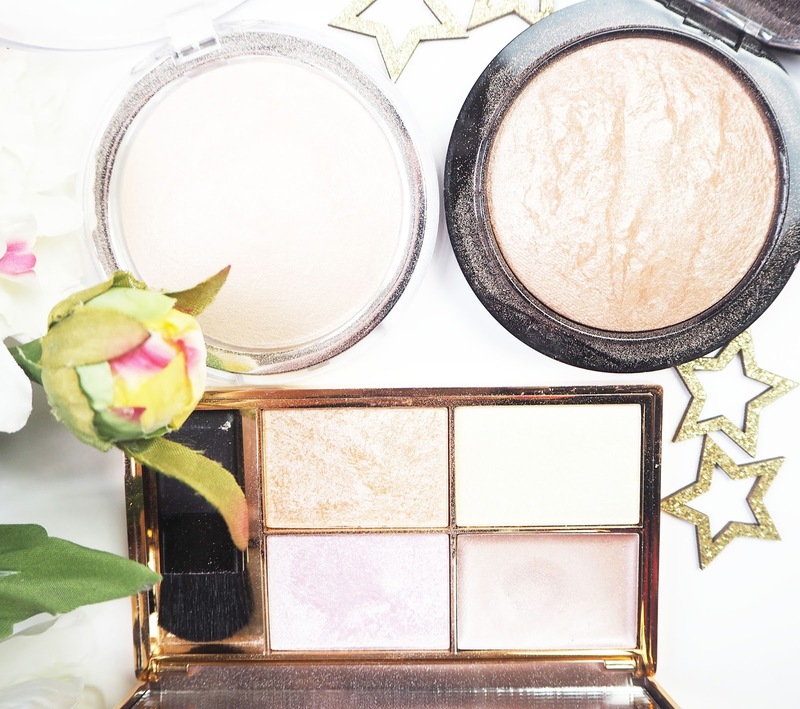 Highlighting has long been an important step in my make up routine and there are a few that I have been gravitating towards a lot in the past few weeks. Mac Mineralize Skin Finish in Soft & Gentle (£24.50) is a product that I've been going on about a lot lately. I think the name describes it perfectly, it gives a very 'soft & gentle' light bronze glow to the skin that will work on so many different skin tones. I like how buildable this formula is, you can dust it on lightly for a subtle, healthy shimmer or really amp it up for a night out. It's a famous product from Mac and I totally understand why. A recent discovery of mine is the Catrice Cosmetics High Glow Mineral Highlighting Powder in Light Infusion and I'll confess now I'm not sure how easy it is to get hold of in the UK but I've been using it so much it couldn't go without a mention. It's a very light pink shade which looks almost icy on the skin, I love these kind of highlights as they show up well on my fair complexion. The powder itself is incredibly silky and soft so it blends into my foundation seamlessly. If you can get your hands on this then I'd definitely recommend it. The Sleek Highlighter Palette in Solstice (£9.99) is a fab all rounder containing a cream formula, two baked shades and one finer powder. All of the shades give an intense glow meaning you need the smallest amount on your brush for a striking highlight. My favourite out of the four is the baked, pink shade Hemisphere which in certain lights appears a lavender colour, its something a little different to the rest of my collection and incredibly pretty. What are your go to highlighters?